This NISA Nuzzle is a little longer.....Owners let’s go back to Business Basics..Sometimes you have to re-evalute every now and again. Don’t let that happen to you. Admit that you don’t know what you don’t know about business, starting with these 15 tips guaranteed to help keep you and your company out of hot water. Some are straightforward, others are counterintuitive, but they’re all true. And some day they’ll save what you built. 1. Always make sure there is and will be enough cash in the bank. Period. The most common business-failure mode, hands down, is running out of cash. If you know you’ve got a cash flow or liquidity problem coming up, fix it now. 2. You can’t fire bad employees fast enough. You just can’t. Just make sure you know they’re the problem, not you (see next tip). 3. The problem is probably you. 90 percent of all problems are management problems. When things aren’t going well, the first place to look for answers is in the mirror. 4. Take care of your stars. This goes for every company, big and small. The cost of losing a star employee is enormous, yet business leaders rarely take the time to ensure their top performers are properly motivated, challenged, and compensated. 5. Your people are not your kids, your personal assistants, or your shrink. If you use and abuse them that way, you will come to regret it. Capiche? 6. Learn to say "yes" and "no" a lot. The two most important words business owners and founders have at their disposal are “yes” and “no.” Learn to say them a lot. And that means being decisive. The most important reason to focus – to be clear on what your company does – is to be clear on all the things it doesn’t do. 7. Listen to your customers. It boggles my mind how little most entrepreneurs value their customers when, not only are their feedback and input among the most critical information they will ever learn, but their repeat business is the easiest business to get. 8. Learn two words: meritocracy and nepotism. The first is how you run an organization – by recognizing, rewarding, and compensating based solely on ability and achievement. The second is how you don’t run an organization – by playing favorites and being biased. 9. Know when and when not to be transparent. Transparency is as detrimental at some times as it is beneficial at others. There are times to share openly and times to zip it. You need to know when and with whom to do one versus the other. It comes with experience. This phrase is often repeated but rarely understood. It means that your own instincts are an extremely valuable decision-making tool. Too often we end up saying in retrospect and with regret, “Damn, I knew that was a bad idea.” But the key is to know how to access your instincts. Just sit, be quiet, and listen to yourself. 11. Protect and defend your intellectual property. Most of you don’t know the difference between a copyright, trademark, trade secret, and patent. That’s not acceptable. If you don’t protect and defend your IP, you will lose your only competitive advantage. 12. Learn to read and write effective agreements. You know the expression “good fences make good neighbors?” It’s the same in business. The more effective your agreements are, the better your business relationships will be. 13. Run your business like a business. 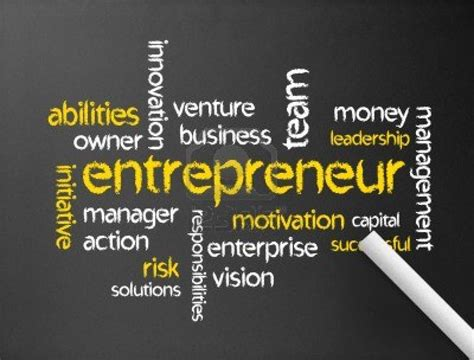 Far too many entrepreneurs run their business like an extension of their personal finances. Bad idea. Very bad idea. Construct the right business entity and keep it separate from your personal life. 14. Know your finances inside and out. If you don’t know your revenues, expenses, capital requirements, profits (gross and net), debt, cash flow, and effective tax rate – among other things – you’re asking for trouble. Big trouble. 15. You don’t know what you don’t know. CEOs of Fortune 500 companies, and everyone in between. More times than not, you will come to regret thinking you knew all the answers. Behind every failed company are dysfunctional, delusional, or incompetent business leaders. The irony is, none of them had the slightest idea that was true at the time. Even sadder, most of them still don’t. Don’t end up like one of them. We hope you found these tips useful! Know a staffing owner who would like to join our network? Contact the NISA office today!